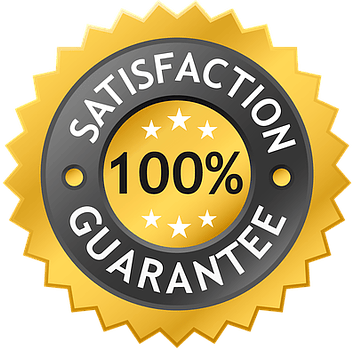 I offer a 100% Money Back Satisfaction Guarantee on any of my entertainment programs or products. If my magic program does not meet or exceed your expectations, you pay nothing. I stand behind my work. I dedicate a lot of time, money, energy and resources to ensure that my entertainment is top-notch and that you and your guests have the best time of their lives. If for some reason, I am ever unable to achieve that goal-I would not want to be paid-because I would feel that I have not done my job. In all the years that I have presented thousands of entertainment programs-no one has ever asked me for their money back. Instead, many clients book me year after year and they continue to give me referrals to their friends, relatives and colleagues as well. In fact, 90% of my business is either repeat business or referrals from delighted clients! Of course, I want you to join that long and ever-growing list of delighted clients. However, it is equally important to me that you are completely comfortable with the decision to engage my services. For those who know my work and my integrity from past experience, this comfort comes automatically. But…for those of you unfamiliar with the 'Bonaparte Promise' you may be concerned about making a bad investment. It is my hope that my 100% Guarantee will eliminate any such concern. If you read all the customer testimonials on this web site, if you check around with friends who may have witnessed my magic…you will discover that you have nothing to worry about. You will not be disappointed. You will not want your money back. You will be thrilled with the Magic of Bonaparte – I Guarantee It!